Okay. You just finished your epic blog post and hit SUBMIT. Now you tweet it, share it on LinkedIn, Pinterest, Google+, Facebook and wait. Nothing. No one is biting. Why is no one is talking about your post? I mean you’ve spent time figuring out what to call your blog post, used examples to improve your content, used an awesome photo and even linked to other sites and old posts of yours. If you’re one of many who started a blog and is wondering why no one wants a taste of your content, maybe you are missing some key ingredients that will make it sticky and sweet for your readers. Find out what the 3 ingredients are to turn your bland blog post into the sweetest blog post that every reader can’t resist. One of the biggest mistakes new writers make is blogging like they are writing a paper for their college professor. Growing up, we learned that a proper paragraph is 5-6 sentences and that it should always include a topical sentence on what you will be writing. If you write like this on your blog, don’t expect your readers to stick around. Only 16% of readers actually read word for word. Break up your paragraphs throughout your blog post. Make a break after 2-3 sentences. Mix up your paragraph lengths and sometimes stick a 1 sentence paragraph in your post. To break up your writing, try to include bullets and numbered lists (do you notice how I did this with my blog post? If I were to just make these into sentences my post would seem long and boring to read). Use attractive headings in your blog. Brian Clark, the owner of Copyblogger, wrote to make your scanners into readers, you need to lure them into reading the next sentence. You can do this effectively by using headings that will highlight the benefit of what they will be reading next. Your blog post can have the most profound piece of information that everyone needs to read, but no one is reading it because of how it’s written. You don’t understand because you made sure to edit for spelling, grammar, length, and redundancies. No matter how long you spend checking over your blog post, you could be missing simple things to make your readers want to nibble away at what you wrote. Take a look to see if you are using these extra toppings to enhance your blog post. When you bold key words or phrases, it helps draw the eye to important information in your blog post. It also helps the 84% of readers who scan by giving them the most important information in headings and bold text. If you are a scanner, you’re probably only reading the headings and nothing more. At least with bold phrases, you can be alerted to informative content. What are clichés? They are sayings that automatically come to your head when you are writing and usually appear when you can’t think of anything else to say. They bore us because we’ve heard them used too many times, but as a writer, it can sometimes be hard to think of original content and you may not even know you’re using them. If you want your readers grabbing for more of your writing, try using metaphors instead. Metaphors use parallel ideas to help get your topic better understood. They are often used for complicated ideas or as a way to spin an old idea in a new way. Let’s use my blog post as an example. My overall idea, how to write a blog post, is an old topic that has been written about and spun many ways. I focused on making your blog post memorable and sharable. From there, I wanted to use a metaphor to give this old topic a fresh perspective. I decided to use food as a way to describe how to write a memorable blog post. There are many topics you can write about but if you’re using technical jargon and big words, you may be losing readers. It’s important to know your audience before you begin to write your post. If you are writing about the latest fashion trends then using college level writing won’t attract the right audience. Similarly, if your blog is about mental health issues in women, using slang would be inappropriate for your reader base. Generally, keep your blog simple and if you need to write about something more technical, you can always use metaphors! Everyone who is a blogger wants some sticky content. It’s a post that gets shared on multiple social platforms and gets readers to keep coming back for more of what you are serving. 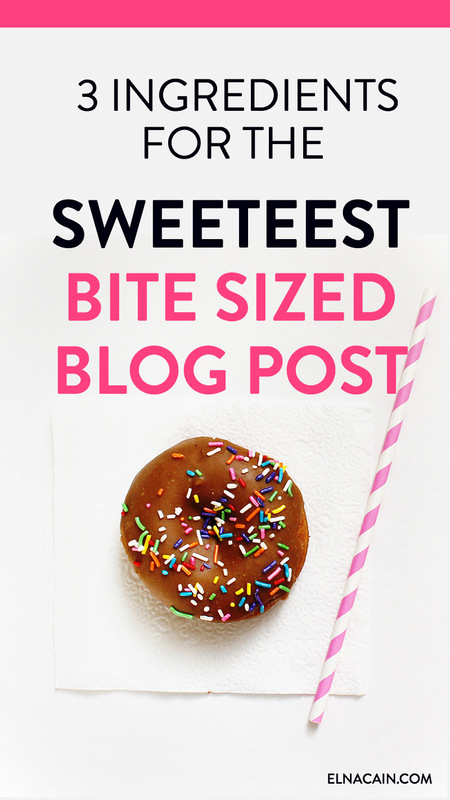 How can you make your blog post oh so sweet and sticky? If all you write about is how your cat spends his days with you, people won’t be interested. They aren’t learning anything new from your blog posts. When you solve problems and present new ideas or old ideas in a new way, readers will get value out of your blog. Always think, how can I add something new for my readers that they will learn from? Darren Rowse, owner of Problogger, wrote about his wife’s new website and was pleasantly surprised by how she was able to gain a following. She did this by starting a conversation with her readers. Answered any comments left on her blog or social media accounts. This lets her readers know she heard them and that she values their input. Always ends her blog post with a call to action. It’s a question or action plan for your readers. It invites a conversation and is considered good blogging etiquette. Another way to make your blog posts engaging to your readers is by being personal. As a freelance writer, I want other new freelance writers to learn from my content, but also a little more about who I am and why I chose this profession. That’s why on my blog I write about myself and my career along with how to improve your writing. Interested in becoming a freelance writer? My course Write Your Way to Your First $1k goes into great detail about blog writing and formatting your posts for your clients. Wow your clients and enroll in my course today! Is there any more bite sized tips I have forgotten? Are you using these 3 ingredients for better blogging? Which ingredient do you use the most and which one is the most effective in gaining readership? Please share your answers in the comments! Oh my goodness, Elna. Your writing here: superb. I’m learning so much from you every day. Bravo. Wonderful content and engaging as well! I am new to writing and feel lost. Would it make sense to use my own samples that engage on my WordPress site? Oh boy! This is going to be fun. I am just starting my research and laying out a plan for diving into freelance writing. I am 45, divorced, with young adult children and I am so looking forward to start writing since being on a very long creative hiatus. I cannot thank you enough for you honesty and great advice. Let’s give this thing a try and see where it takes me! That’s awesome you want to start freelance writing! Great. Glad you found some good tips for writing online! Thanks Elna for another great post. I am very new to both blogging and freelance writing so your advices are invaluable to me! I say it a lot.. oops. It’s up to you if you really want to use that phrase! It’s just a saying that shouldn’t be used for your paid blog posts! Your post inspired me to not give up after batting zero on gigs for a new freelancer. I’m sure now it’s part of the process and I’m gonna trust it. Thanks for stopping by. I’m glad that this post gave you some hope and motivation! So glad I found you Elna. I am just getting started with freelance writing and your posts are so helpful. Thanks for being an inspiration to this newbie. Elimination of cliches and decorate with bold text: check. Lure the readers to the next sentence: OK.
Is the widespread recommendation of 1,500+ word posts somewhat at odds with the 84% who just scan the entire post? Or is the focus of a 3,000-word post on the 16% who check it from stem to stern? Somewhere I read some challenging statistics about the percentage of people who just read the title to see if they want to go any further. The interesting part of freelancing is the challenge, so long as a person is learning. Not sure about the length in words for the 84% of people scanning, but I gather it’s for any length of content online! Very helpful and informative post. I agree that the ability to write in a conversational tone suited to your target audience is more suitable that a degree. Yet there are plenty of job adverts out there asking for Journalism degrees or English degrees. Nice post Elna. I used to write a blog post of minimum 1500+ words. I don’t forcefully make it longer, after putting my all resource and my thought it becomes that much. But I keep it scannable, My readers can know what I have written just reading the headings, and bold texts. I also add relevant images. I agree only 15% people read word to word, I believe only long posts are scannable. what can you scan from a short post? It’s already short. But all of your points are true. It depends on the audience, you are writing for whom that what exactly matters. I’m glad you liked this post! 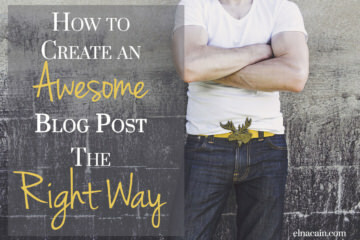 Knowing how to maximize your blog posts help in making it more memorable and shareable! Thanks for stopping by! This is such great advice! 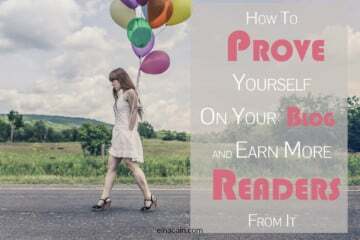 You want to keep your readers entertained but you also want to help them or teach them something too. This blog post was really my first in getting the blogging thing done right. Then I thought, why not write about how to blog? Viola, the post was born. Great advice! Thanks for the tips! Thanks Paula for the great comment. I hope to help anyone interested in creating great blog posts that’s easy to read! I found myself horrified at the rookie mistakes I’d been making. Right in front of my face. I never considered that writing paragraphs was a fools errand… I always skim and skip everyone elses! Thanks for writing this super helpful and enlightening post Elna! Hi Tabitha! Don’t feel bad for your rookie mistakes. I was in the same boat as well. Reading other blog posts helps with seeing what the standard is. I’m glad this helped you! Great post, and a delicious read! 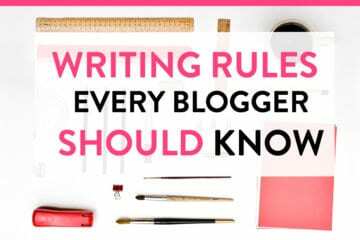 Re paragraphs, I agree with you and think it’s really interesting that although the rules we were taught to use when we wrote at school and at university might have been “proper”, they just doesn’t apply as much when blogging and writing online. I also love your formatting tips, and usually use most of them. After reading your post though, I made a slight change to one of the titles in my second to last blog post to “highlight the benefits” of my top tips – thank you for the reminder! I would say the tip that gets me the best feedback is when I provide helpful content. Readers are bombarded with so much info these days, they need to get value out of their time they spend online, and learning something is a great return on that time. Once again, excellent post and happy to share on Twitter! Thanks Marcia for the kind response to my blog post. Blogging is quite different than “school writing” and knowing this can take your blog from being read to a few people to being one where many people read, respond and share! Thanks again! This is awesome advice. I am a print media journalist but I’m finding that what works for newspapers, for example, may not work as well online. So this is valuable advice. Thanks. I would love to continue to get your posts etc., as long as they are free. Sorry about the cheap-skate comment, I’m just getting started! Regards, Robyn. Hi Robyn. I’m glad you found this useful. I’m new to writing in general, especially online. It is quite different from traditional writing. Anyways, thanks for your support and yes my blog is free! Good luck on your endeavor! A really well written post in a way that demonstrates your ideas and skill as a blogger. I wish you well with your blogging. Thanks Roland. I appreciate your feedback regarding my post! 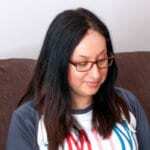 I am new to this world of freelance writing and I hope to use my blog as a place to hone my skills as well as write about things that interest me. Thanks Rob! Hope I can help! I am new to freelance writing and love to blog as much as I can. I’m glad you agree with my starters for blogging! I’m trying to follow them as well! Thanks again! I love this post. It had me glued to the page. Everything you said is so true. We need to think more about the audience we’re writing for. But it’s so easy to get carried away and write for ourselves instead. Thanks for your kind words June! And thanks for following me and retweeting my post! It goes without saying that my blog post on blogging works! Thanks again!